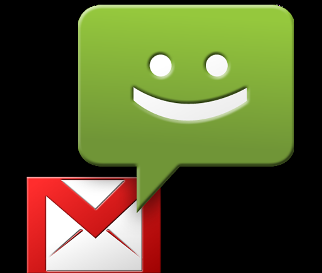 Backup your text messages (SMS) to your Gmail account is so easy. 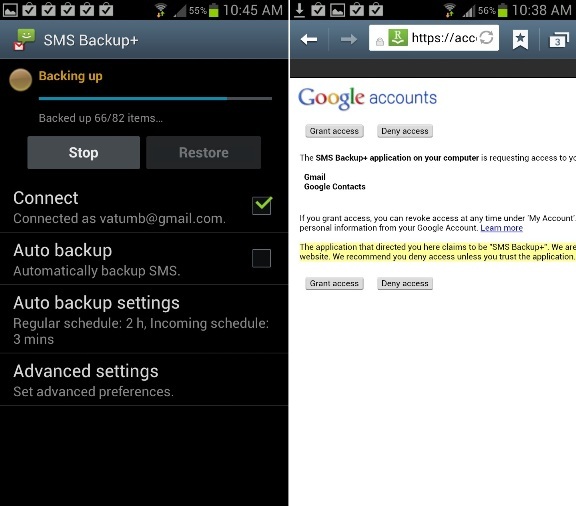 SMS Backup+ a free android app which enables you to backup every messages from your Android mobile to your Gmail account. With this app you can store all message in Gmail inbox and also restore them in future. 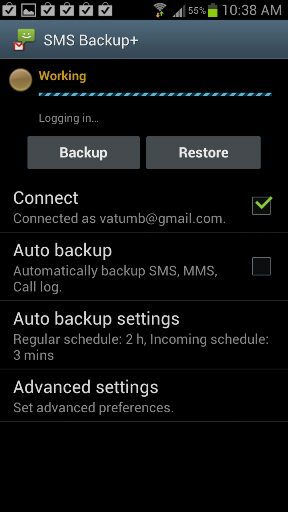 Backing up your SMS messages to your Gmail account is so simple, all you have to install the SMS backup+ app on your Android mobile phone and setup it with your Gmail Account. Below is the tutorial which helps you setup the app with your account. 1. First login to your Gmail account and go to Settings –> Forwarding and POP/IMAP. Check Enable IMAP. And save the settings. 2. Now Install SMS Backup+ Android app on your Android mobile phone to configure the app with your Gmail. 3. After the application is installed, Launch the app on your mobile phone and tap Connect. Choose OK and after that you’ll be prompted to login to the Gmail account you want to use to backup all your messages. Choose Grant access. 4. Now the app will ask you to start a backup immediately or skip the initial backup. 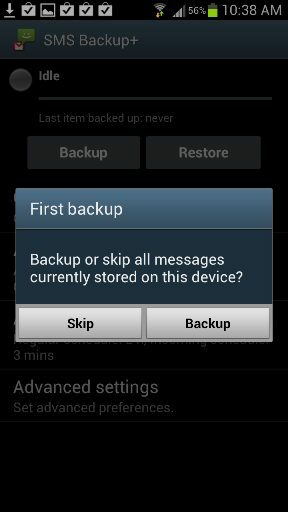 Hit the Backup option to take the backup of your SMS. 5. Now the backup process will start, and it will take some time to complete the backup, depending on how many messages you have. 6. 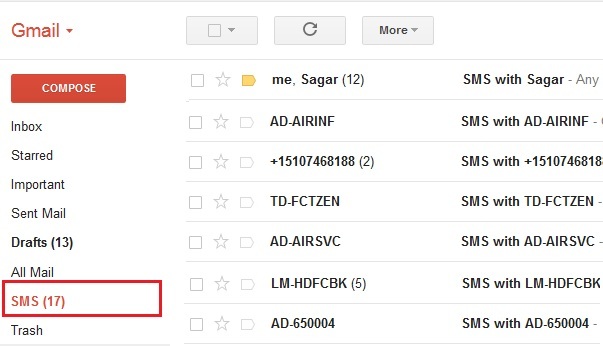 After the backup process is complete, you can see all your text messages in your Gmail account under the SMS label. That’s it now all your Android text messages are saved in your Gmail account, from the restore setting on you android SMS backup+ app, you can restore these messages on your Android Mobile phone. The app also give you the option to backup your MMS and call logs.